Are you ready to ask your girlfriends to be apart of your big day? 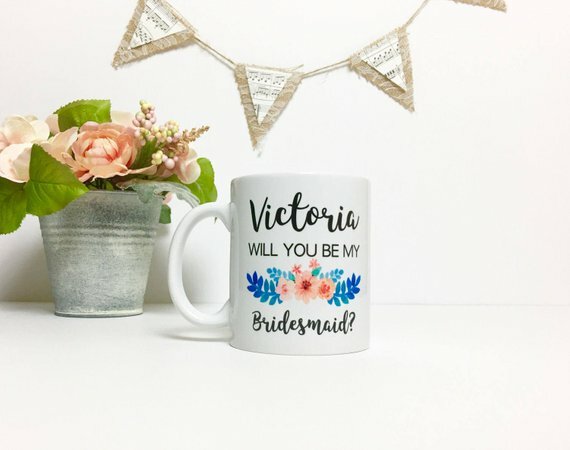 Well we have the perfect way to ask your crew to help you in saying I do! 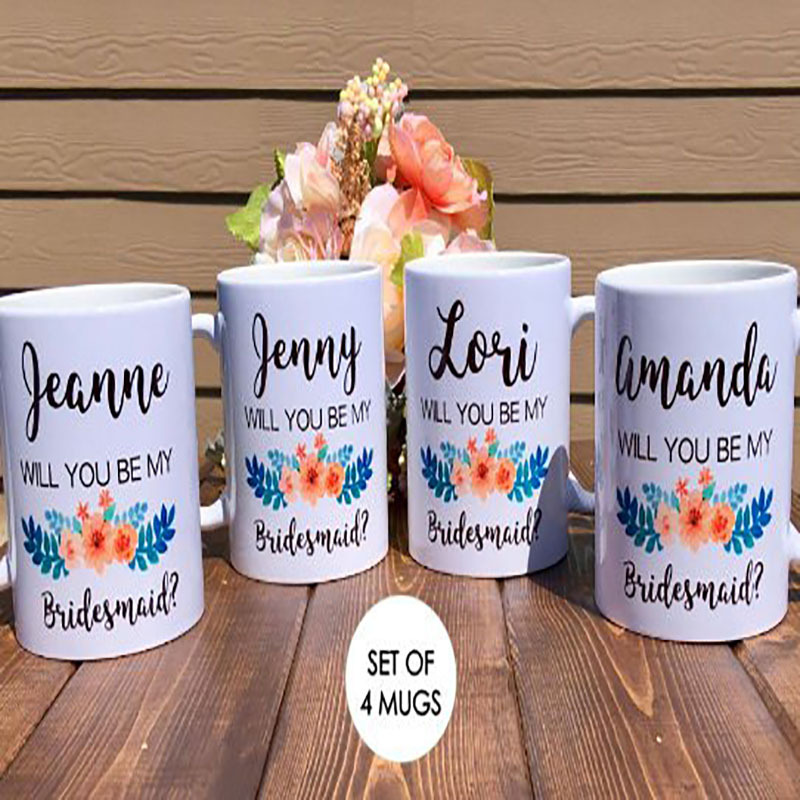 Our mugs are handmade.We personalize each mug with your bridesmaid(s), maid of honor, or matron of honor name. Please note that colors vary from screen to screen and might be different. Each item is handmade by me and may look slightly different as we are not mass producing each item. You will receive your order after about 1-2 weeks due to so many orders during Christmas. Thanks for your understanding. Amazing customer service! Cups just as pictured and so cute! Love it! 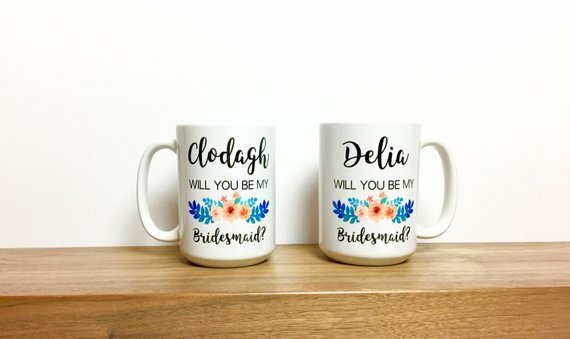 Such a cute mug! Great cup, Timely shipping and came as described. Thank you! Great customer service! Will definitely order from again! Shipped quickly and looks perfect! Thank you! 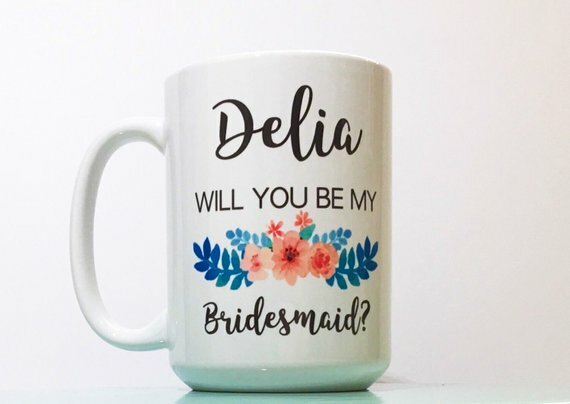 Loving this mug! Question about Custom Bridesmaid Mug is Successfully Submitted.